As Jews around the world celebrate the festival of Purim (March 20 to March 21 this year), gentiles have cause for celebration, too. Purim teaches universal lessons especially relevant today: the courage to embrace a politically disfavored identity, the righteous use of force against mass murder, and the duty to obliterate the wicked names of murderers and would-be murderers. The Purim story is told in the Book of Esther, which is part of the Hebrew Bible (what Christians call the Old Testament). One day, Persian King Ahasuerus decided to pick his wife by holding a beauty contest. Ahasuerus is sometimes identified as Xerxes I, who reigned from 486 B.C. to 465 B.C. The winner and new queen was a gorgeous young woman named Esther. She was Jewish, but the king didn’t know that. A wicked counselor named Haman convinced the king to order the destruction of all the Jews. Messengers were dispatched throughout the kingdom to announce the extermination of the Jewish people that would take place several months later. Esther’s wise cousin Mordecai urged her to petition the king, but Esther was afraid that she, too, might be killed. Mordecai replied that Esther, despite her privileged position, would not escape what would befall the rest of the Jews. “Who knows? Maybe you were made queen for just such a time as this,” he said. So Esther invited the king and Haman to a banquet, which Haman thought was in his honor. At the banquet, Esther told the king how Haman was plotting against Mordecai the Jew, who had earlier saved the king from an assassination attempt. She then accused Haman of trying to kill her, because, Esther confessed, she herself was a Jew. The enraged king ordered that Haman be hanged—ironically, on the gallows that Haman had been building for Mordecai. According to Persian law, a king’s decree could not be rescinded. So the king dispatched throughout Babylon a second decree allowing the Jews “in every city to gather themselves together, and to stand for their life, to destroy, to slay, and to cause to perish, all the power of the people and the province that would attack them” (Esther 8:11). The language “to destroy, to slay, and to cause to perish” precisely matched the previous decree that had ordered the destruction of the Jews. On the day the destruction of the Jews was scheduled to begin, the people who hated the Jews attacked. The Jews fought back, assisted by provincial governments that sought Mordecai’s favor. “Thus the Jews smote all their enemies with the stroke of the sword, and slaughter, and destruction, and did what they would unto those that hated them” (Esther 9:5). Yet, although the anti-Semites had planned to plunder the Jews, the Jews did not plunder the property of their enemies. According to Yoram Hazony’s book “God and Politics in Esther,” by fighting so effectively, the Jews convinced the king, to whom Jews had previously been of little concern, that the Jews were formidable, and were dangerous when threatened. 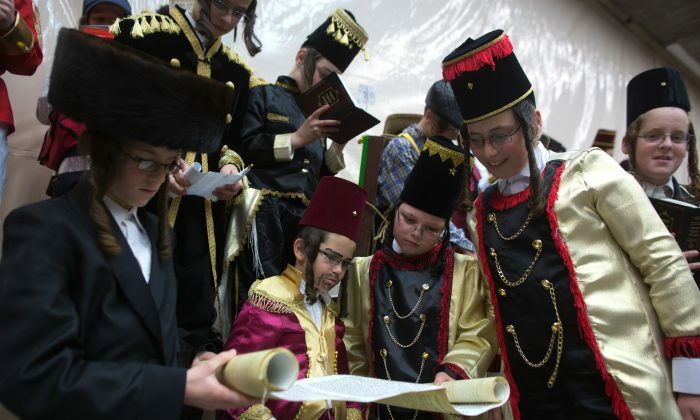 Forever after, Jews have celebrated the 14th day of the month of Adar as the Feast of Purim. It is a joyous springtime festival, full of children’s games, taking place several weeks before Passover. “Esther” is the only book of the Bible in which God is not mentioned. “Esther” thus makes the point that in an age without prophets or public supernatural miracles, it is humans—such as wise Mordecai, brave Esther, and the fighting Jews—who carry out God’s work on Earth. According to rabbinic commentary in the Talmud, “Esther” is the key book for understanding miracles. In the synagogue at Purim, the “Esther” scroll is read, and the congregation uses noisemakers and shouts to blot out every mention of the villain who wanted to kill all the Jews. Persons who refuse to grant notoriety to mass killers are following in this laudable spirit. So, too, are those who risk death to protect innocents, and who fight back against murderers. 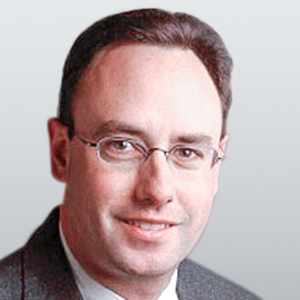 David Kopel is the author of “The Morality of Self-Defense and Military Action,” on which this article is partly based.